Hi, Friends! 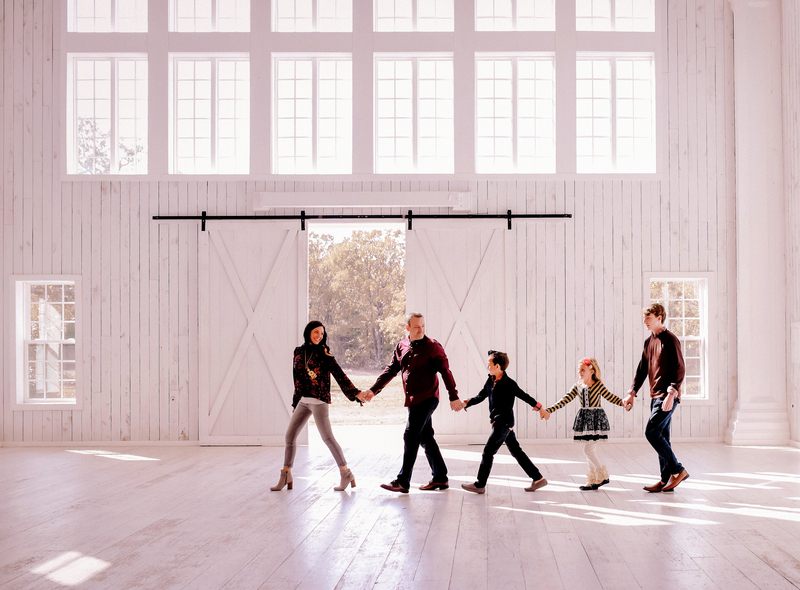 Before I get started today, I want to take a second to thank you from the bottom of my heart…for your heartfelt words and the prayers for our precious Manda and her family. Every single day, I am truly amazed by the support from this sweet online community and the big hearts of those I am surrounded by here in Texas. Please continue to pray for her precious family. Thank you again! For those of you who missed Manda’s celebration of life service, you can find it right here. You can also view the amazing slide show that was played before the ceremony here . Today, I am joining Shay, Erika, Sheaffer, and Andrea with an opportunity to bless and LOVE on someone who is currently battling cancer. 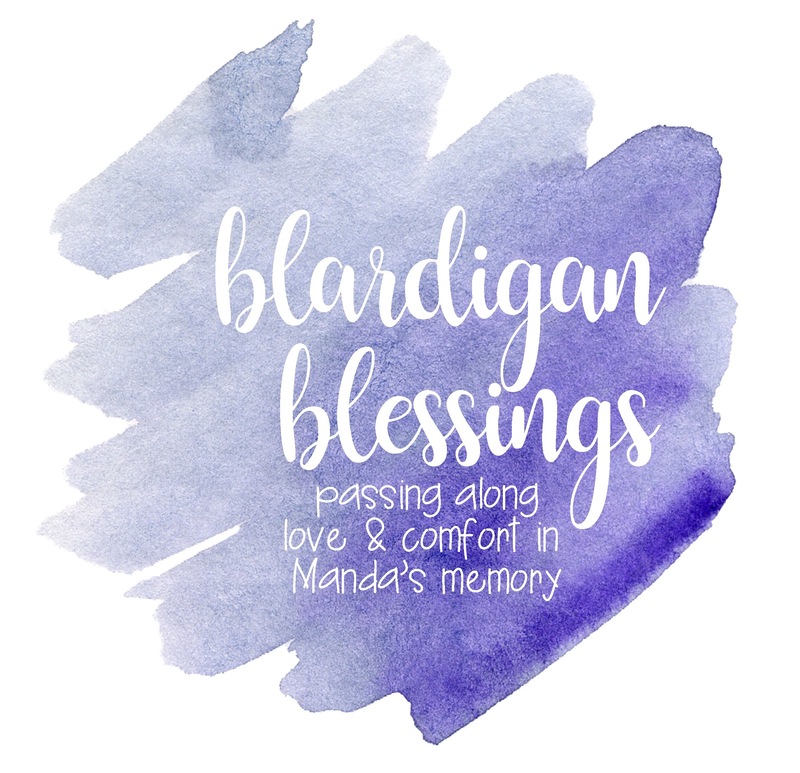 We will be giving 10 Blardigans to 10 women who are fighting cancer in honor of our precious Manda. I know that she would have loved sharing her love of the Blardigan with these strong women and giving them some small bit of comfort during their treatment. Entering is super easy this time around…you can just leave a comment on any of our 5 blogs. You can enter yourself or nominate a friend, and one entry per person please. Ten random entries will be selected and will be announced on Friday. I am so very sorry to hear about the passing of your sweet friend. She sounds like she would’ve been the most amazing person to know. I would like to nominate my friend Julie for the Blardigan Blessings. She is a neonatal nurse practitioner, and she was diagnosed with breast cancer in December. Shortly after being diagnosed, she made the decision to have a double mastectomy. She is currently going through chemo, which will be followed by radiation, all the while continuing to work to save the lives of the sickest and smallest babies. Her strength amazes me! I have been thinking and praying for Manda’s family and friends during this time of lose. It is so hard to lose someone you love. I would love to nominate my friend’s Mama Mary S who is battling cancer. Currently she is taking chemo and it struggling. His arms around Carrie and give her the strength to fight this horrible illness. Thank you for this sweet gesture to bless others in Manda’s memory. I would like to nominate Amy Wood. She’s currently battling cancer for the 2nd time. She’s a busy mom of 2 boys who has kept a positive attitude & strong faith through difficult times. I would love to nominate our Pittsburgh local newscaster, Kelly Frey. Just last week she began her first chemo treatment for breast cancer. She will undergo 24 weeks of chemotherapy followed by surgery and then radiation. 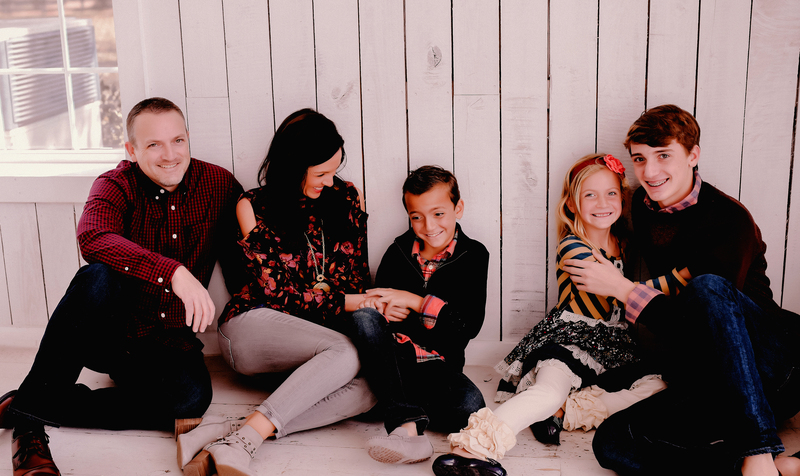 She’s a bright light in our city, and she’s the first to say that this diagnosis is nothing compared to what her family has already endured with her son’s medical conditions and disabilities. She is definitely worthy of a sweet, cozy blardigan. Thank you for this opportunity, and please know that I’ve been thinking of and praying for all of you girls and Manda’s sweet family. I’d like to nominate my husband’s grandma — Grandma Eunice. She was recently diagnosed with pancreatic cancer and is currently working hard to get strong enough to have a port put in and her first chemo treatment. She’s been incredibly brave! I’d like to nominate a close friend, Liz Haynsworth, who is undergoing treatment for breast cancer. She is a tough, strong mama of 2 little girls (4 and 2) and a business owner. She exemplifies strength that I could never have if I was in her shoes. Would like to nominate my mother who was just diagnosed with incurable liver cancer. She moved from Guatemala where she is from to Baltimore for treatment. She is not used to the weather and is always cold. The blardigan would be perfect for her. Would like to nominate my mother who was just diagnosed with incurable liver cancer. She is from Guatemala and not used to our winters. The blardigan would be perfect for her. My friend Jana Rogers has been battling cancer for years. She has had every treatment known to man. No matter what bad news she receives, she always handles it with dignity and joy. If you met her on the side of the street you would never know the trials and tribulations this girl has. She is about to have an upcoming surgery and a blood again would be great and comfy for her recovery. What a thoughtful way to honor your friend’s memory… I know just the friend of mine who could use this comfort!